It is rather well known that Hans-Werner Aufrecht (A) and his partner Erhard Melcher (M) founded AMG in 1967 at Aufrecht's birthplace of Grossaspach (G); hence the name, "AMG." What is not as well known is their early history and the humble beginnings of AMG. Back in the mid-1960s, there were two guys with a small garage in an old mill that were building engines for fast cars, really fast cars. When these two guys acted on their urge they spawned one of today's largest suppliers of exclusive high-performance cars. The two guys were Hans-Werner Aufrecht and Erhard Melcher, the founders of AMG Motorenbau und Entwicklungsgesellschaft mbH (AMG Engine Production and Development, Ltd.). Thankfully, the company name was later shortened to AMG. Aufrecht and Melcher started in 1965 by preparing a racing engine for Manfred Schiek's 300SE. Two years later, the owners officially founded the company and began their humble beginnings in the "Old Mill" in Burgstall, Germany. According to historical information provided by Mercedes-AMG, the first private customer of the new company was a Mercedes owner from Kiel. With a humble beginning there is always a good story. Here's the gist of the story going around today, which is said to be Friedrick Aufrecht's story. Friedrick is the brother of AMG co-founder, Hans-Werner. A customer from Kiel, a town located on the northern border of Germany, is said to be the first private customer of the young Mercedes tuning company. As the story goes, he was in the paddock at a motor race when he got a hot tip. He was told about a garage in southwest Germany called AMG that could squeeze every last ounce of torque out of a Mercedes engine. This customer had a fondness for torque and he decided to visit the garage. After following the sketchy directions provided, he found himself in front of two tiny garage doors at an old mill. Garage doors so small, in fact, that he wasn't sure if his Mercedes would fit inside. Is this the right place he wondered? He ventured inside and observed a hand dug inspection pit in the middle of the garage. Now, he definitely wasn't sure if this was the right place so he asked, "Where can I find AMG?" The mechanics responded: "you are in the AMG garage." Later on the customer from Kiel picked up his car and headed home. He was almost to Frankfurt when he turned around and drove back. The astonished mechanics couldn't believe it. Just three hours later their first private customer was already bringing his car back. To their disbelief, the customer drove all the way back to the garage to tell them personally how happy he was with the car. The mechanics were inspired and the AMG legacy began. During the next three years AMG concentrated on building race cars based on the Mercedes-Benz 300SE sedan. They liked the Mercedes-Benz 300 models and some bad luck for a Mercedes owner turned out to be good luck for AMG. They got wind of a damaged 300 that was being sold by a doctor and they bought it. It was purchased for less than $6,000 at a time when new models were selling for $20,000. 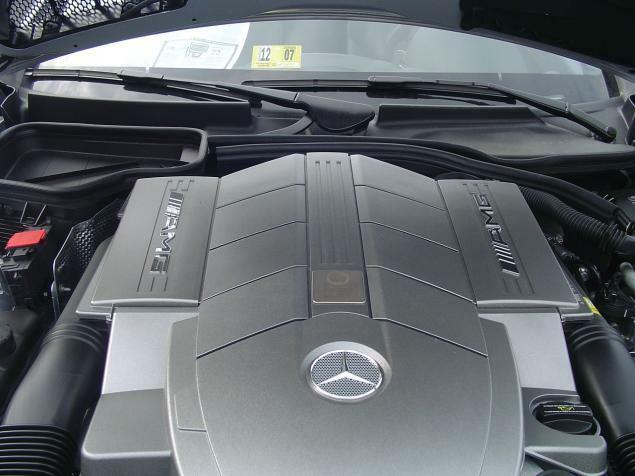 The AMG mechanics enlarged the cylinder bores, modified the camshafts, intake manifold and several other components. By the time they were finished tinkering, their investment in labor and parts exceeded $100,000. They entered races and encountered major setbacks, but failure was not an option. They labored on and by 1971 the stage was almost set. All they needed was a driver for the 24-hour race at Spa, Belgium. A few drivers turned down the offer to drive their Mercedes heavyweight, including then-recent Le Mans winner Gijsbert van Lennep. Finally, European Go-kart champions Hans Heyer and Clemens Schickentanz became available and AMG had their team. The team surprisingly achieved a class victory and finished second in the overall championship with their Mercedes-Benz 300SEL 6.8-liter AMG. The owners' persistence and passion had finally paid off for the small company and their success spread rapidly. In the 1970s the company started offering high-performance tuning packages to Mercedes customers in Europe and other markets. Some Mercedes customers wanted individually customized vehicles and AMG met their needs as well. Like NASA, AMG was transferring technology. They took the lessons they learned on the racetrack and applied their knowledge to production cars. 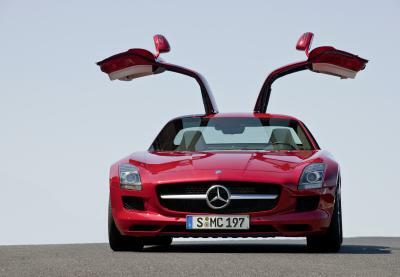 It was a smart and profitable move for AMG, which lead to a steady increase in orders and a solid reputation as the premiere Mercedes-Benz "tuner" in the world. By 1978 the company had outgrown the old mill and the owners encountered another urge-relocate. They moved their operation to a larger facility in Affalterbach to better accommodate customers and a staff that had grown to 40 employees. Although the orders for production car modifications were rolling in, AMG never lost sight of their passion for motorsports. In 1980 an AMG Mercedes 450SLC took first place in the European Touring Car Championship Grand Prix race at the Nürburgring. The subsequent AMG racing successes are far too many to list now. It suffices to say that they did well both on and off the track and the company continued to grow rapidly. Just seven years after moving to Affalterbach, AMG built a second factory and hired their 100th employee. A significant turning point for AMG came five years later, in 1990, when the company signed a cooperation agreement with Daimler-Benz AG. With the agreement came a third factory, an increase in the workforce to 400 employees and plans for the sale of AMG products through Mercedes-Benz dealers located in overseas markets. Soon thereafter, AMG began preparation for the production and exportation of AMG cars to the U.S. market, which today is AMG's largest market. The first "official AMG" car to reach the shores of America was the 1995 C36 AMG, although enthusiasts had privately imported gray market AMGs such as "The Hammer" much earlier. In 1999 DaimlerChrysler became the majority stakeholder in Mercedes-AMG GmbH. The market demand for AMG cars was high and production climbed from 500 to 20,000 cars per year by 2005 when DaimlerChrysler became the sole shareholder in Mercedes-AMG. Although many things changed during this time, the new owner's continued the tradition of building AMG engines using the "one man, one engine" philosophy that continues to this day. This article has been featured on Ezine Articles. Wow this post is damn good and informative, even though I loved AMG Mercedes I never had known their history, now I feel happy to know how AMG came up and became a hit. I worked for these guys back in ’71-nobody talks about their Interserie involvement with a McLaren M8F-was’nt a happy time-Mercedes effectively shut down the program because it was too underpowered and overweight-shame.However,look how well they have done since!